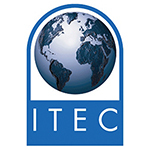 This prep class for the ITEC examination will help you prepare for both the written and practical examinations administered by ITEC (London).  Want to get back into the esthetics industry?  Feeling a little dusty and need a confidence booster?  Looking to take your career to new heights? Lunch is not provided, so feel free to bring something with you or go out during your 45-minute lunch break. There are many restaurants in the area and a list will be provided.